In this bountiful world of natural hair, we’re tempted to revisit our heat appliances for styling greatness. We weigh the pros and cons of digging deep in our pocketbooks to invest in heat protectants considering if we’ll get the most benefits for our money. But the real question is do we really need heat protectants and are they necessary? Heat applied directly to the hair raises the cuticle layer of the hair shaft allowing heat to penetrate the strand. With the cuticle layer being exposed, heat can make its way to the cortex, causing irreversible damage. It is believed that using a small amount of heat will not cause damage. Still, the structure of the hair can suffer both physical and chemical damage without a heat protectant. The purpose of a heat protectant is to reduce the potential of causing physical and/or chemical damage to the overall health of the hair. Heat protectants provide a balancing effect reducing the risk of thermal damage while maintaining the moisture level within the hair shaft, promote healthy texture, elasticity, and shine. Another benefit of using a heat protectant, beside maintaining a healthy mane, is its ability to improve the effectiveness of heat styling tools (Folica). Deciding on a heat protectant consists of a few factors. The first is knowing the texture of your hair; coarse and fine hair strands react differently with certain heat protectants because of its density and ingredients. Secondly, choosing which type of heat protectant to purchase because they come in the form of sprays, gels, serums, and/or lotions. For example, fine strand naturals may prefer sprays because they will not weigh down the hair; coarse strand naturals may prefer oils and serums. In a study by the University of Manchester, they concluded that using dry ingredient based heat protectants may be more beneficial water based protectants. Many protectants contain silicones and polymers which are ingredients may naturalistas stay away from but in many test they proved to work better than water based protectants. So do we really need heat protectants and are they necessary? The simple and direct answer is YES. 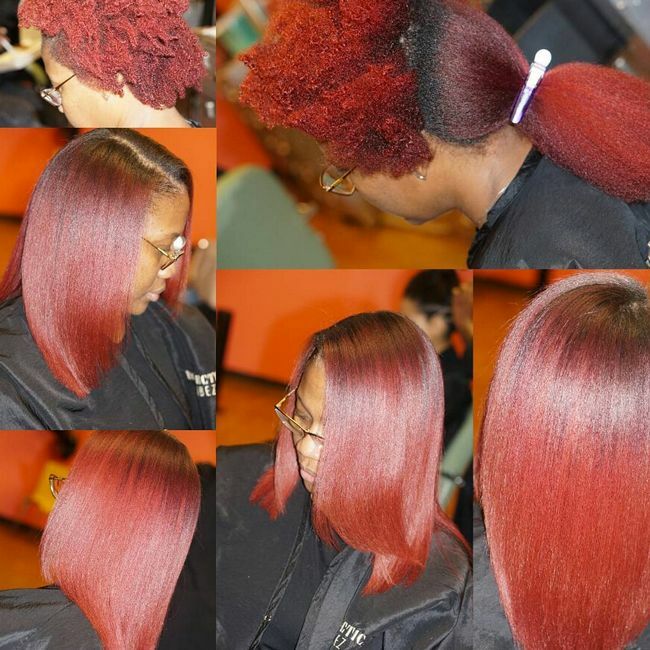 We need heat protectants and they are necessary for reducing the risk of causing stringy straight pieces of hair because of failing to apply proper protection. Looking into the ingredients of heat protectants is important for knowing how they’ll react with your hair. In the end, a heat protectant applied to your hair is better than no heat protectant at all.